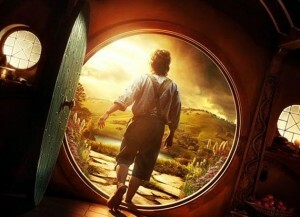 Spies tell us that eyewear manufacturer Oakley is creating a special, limited edition run of 3D glasses for The Hobbit. The branded, high-quality 3D glasses will retail for $150. Our spy, Ringer Irish Man, tells us they will come in a sleek, wraparound style, like they’d belong on the beach, very unlike the Dwarf-inspired shape we’ve seen from mass-release Hobbit 3D glasses we reported last week. Only 4,000 pairs will be made, and each will come with a gold/silver metal lapel pin of Bilbo’s elvish sword Sting.